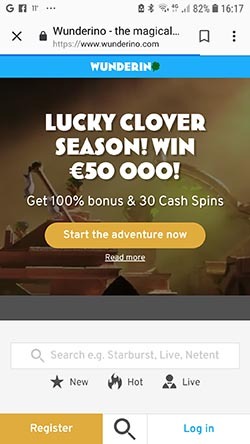 "Europe and Japan focused casino"
Wunderino seems to be focused on the European market and Japan. They have a pretty good assortment of slot games – which is there prime focus. They are licensed by the MGA and Antillephone out of Curacao. At the moment we do not have much information about this casino. More will be pending once the Meister Minions check them out. 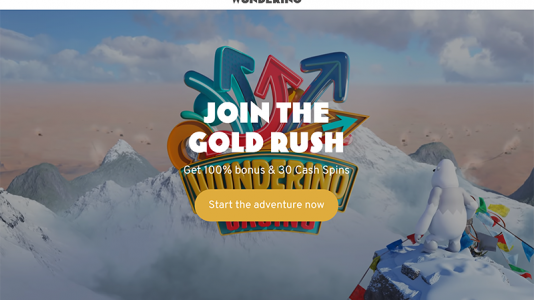 Wunderino has the usual line up of slots from the following software providers: Netent, Quickspin, Play’n Go, Gamomat, Oryx Gaming, Merkur Gamning, Microgaming, Scientific Games, Habanero, Stakelogic, Genii, NYX, Yggdrasil, Leander, Playson, Nolimit, RedRake, Big Time Gaming, and Pragmatic Play. Loads of mobile games from a slew of providers for your iPhone, iPad, Android or Windows phones or hand held devices. Live chat is available in English and Japanese. 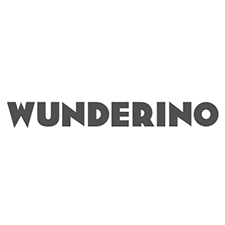 Wunderino Casino Terms and conditions Apply. Wunderino has not been evaluated by us at the moment. On the surface, they seem ok. They have a forum rep – which is a good thing.